You have to forgive me for only knowing one of the 14 singers and band performing at the Kuching Waterfront Jazz Festival 2018. While they may be a household names in the jazz arena, I am not exactly a keen follower of such music. 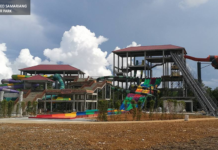 The chance to change my perspective did come years back when the Sarawak Tourism Board invited me to the Borneo Jazz, but getting leave to fly all the way to Miri was always an issue. So when I was asked to go to the Kuching Waterfront Jazz Festival 2018 this year, it was a chance I couldn’t let go. A jazz fest near to home so applying for leave wasn’t an issue. 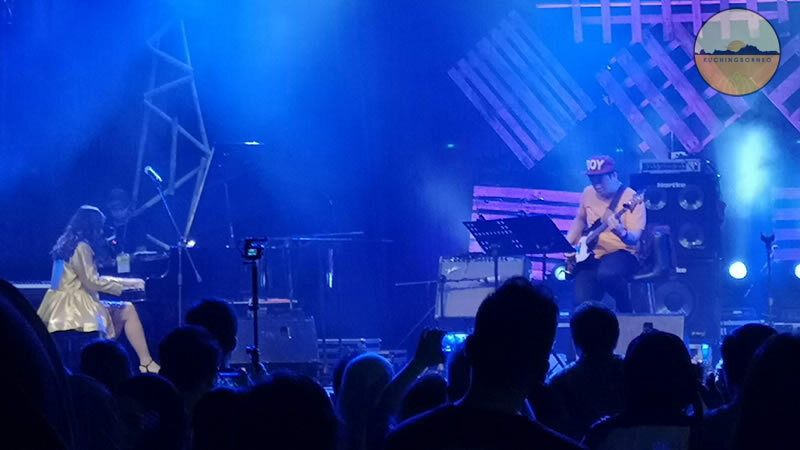 The likes of Tompi , Dayang Nurfaizah, Carmen Souza Trio, Blues Gang, Tulus, Alemay, and Natalie Gillespie Band for sure were headline performers at the Kuching Waterfront Jazz Festival 2018, but it was the local performers that stole the limelight in my opinion. 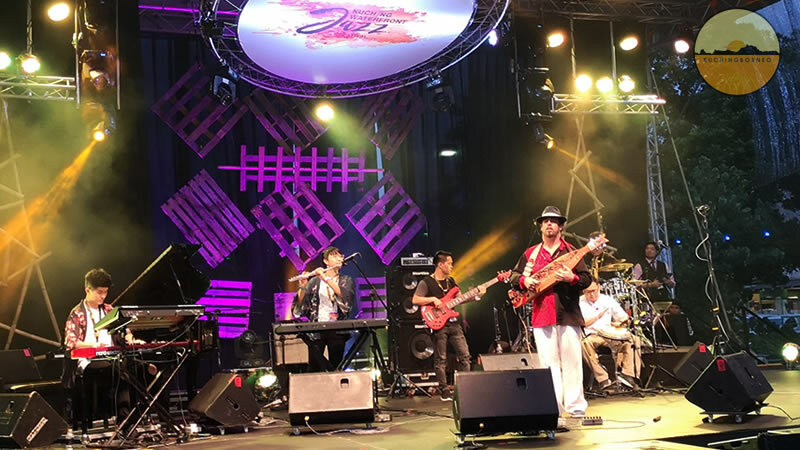 Sang Voyage opened the Kuching Waterfront Jazz Festival 2018 with plenty of energy. Despite having lesser crowd to entertain on a perfect Friday evening, I felt they were one of the best bands I’ve ever heard. I couldn’t remember any of the song names they belted out but most were originals. In my opinion, Sang Voyage had class to go far in the jazz world. Another class act was Sarawakian born Jolynn J Chin. She hit those piano notes with perfection. Her mesmerizing piano tunes were so infectious it caught the crowd in awe. As the crowd started to trickle in, the likes of Atilia Haron, Aditya, Alemay, Dayang Nurfaizah and TULUS took the stage before the grand finale of their first night ended with a composition by Asif Pishoro. It was a great first night. 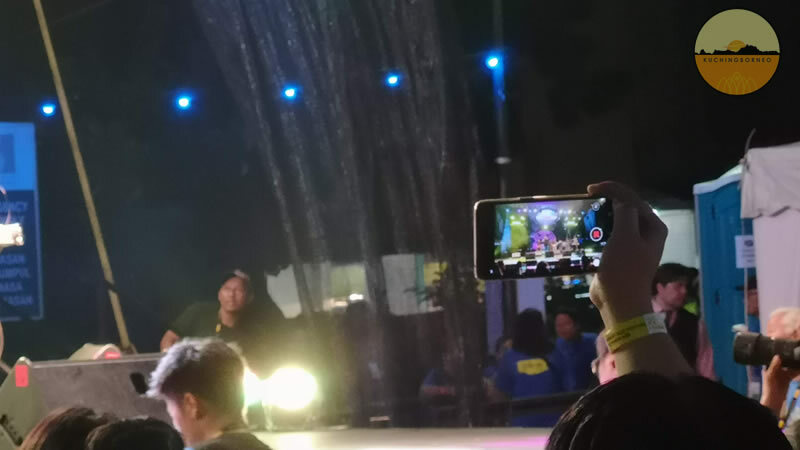 On the second night local band Tuku Kame Jazz made sure the second day of the Kuching Waterfront Jazz Festival 2018 started with Sarawak sounds. The well traveled band belted out interesting local fused jazz music to the eager crowd. Atilia was a hit among the festival goers. 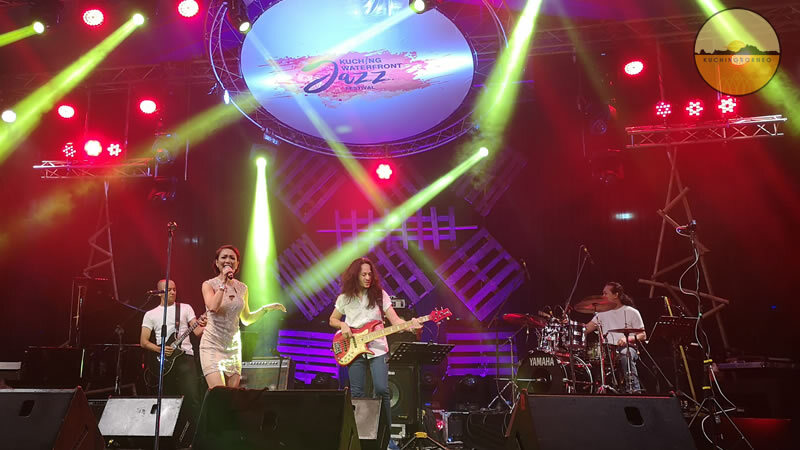 After Tuku Kame Jazz, bands like D’Cipta Band, Aisyah Aziz, Natalie Gillespie Band, Carmen Souza Trio, Blue Gang and Tompi played their numbers much to the appreciation of the crowd. Based on my observation, the loudest cheer from the crowd was reserved for Aceh born Teuku Adifitrian, or Tompi. His hour long performances mesmerized the crowds with many rushing to take selfies with him afterwards. But beyond the jazz music, the atmosphere of the Kuching Waterfront Jazz Festival 2018 is something I really favored. 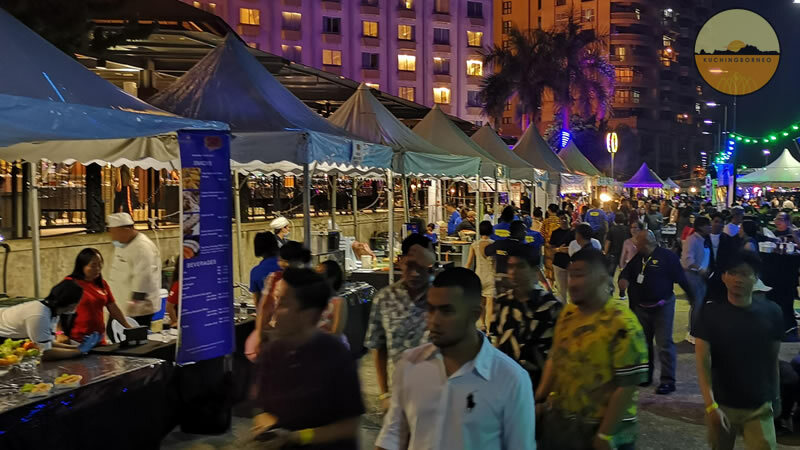 Compared to the popular Rainforest World Music Festival, the Kuching Waterfront Jazz Festival 2018 was pretty relaxed. It was so relaxed, I regretted my decision not to bring my family to this event because I could see both my wife and daughter appreciating the free flow of music and the abundance of space to move. Despite the capacity crowd, there was enough room to move around freely. 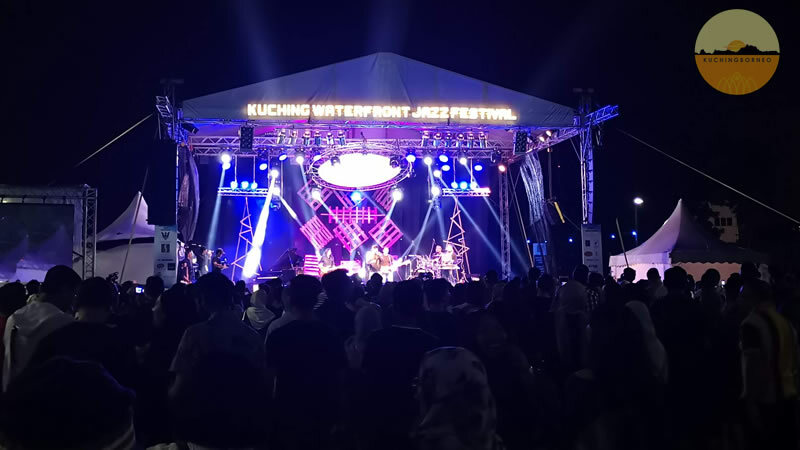 In my opinion, the Kuching Waterfront Jazz Festival 2018 was one of the few big musical events in Kuching which was family oriented. There was no rowdy crowd of youngsters getting high on booze. Everyone was calm, relaxed and at their best dress. I personally loved the riverside setting which made the whole event so peaceful. It was so good that I do find myself taking a stroll up and down the festive grounds just to enjoy the serenity and beauty captured across the river. This was more apparent during sunset. Adding flavour to the festival is how community like it had become. I literally bumped into a lot of familiar faces while strolling along the waterfront. 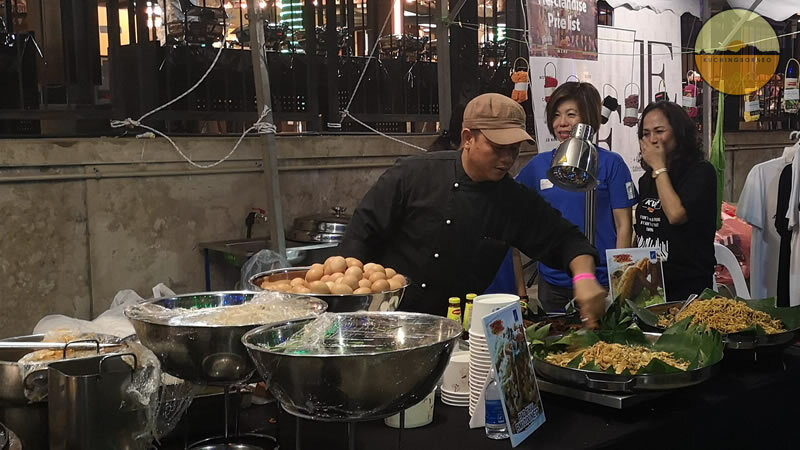 One of the food stall at the festival. Those I met were also overjoyed with the whole relaxed atmosphere. A couple of good friends also relayed to me that this festival complements Kuching City. It’s like that missing link that has finally been found. There is a likelihood that I will return to the Kuching Waterfront Jazz Festival next year. I must admit that I couldn’t enjoy the whole event as much as I could because I was a bit under the weather. However, if I am not preoccupied next year, I’m a go to return. This time I will bring my wife and daughter. Amazing things like the Kuching Waterfront Jazz Festival is best shared. 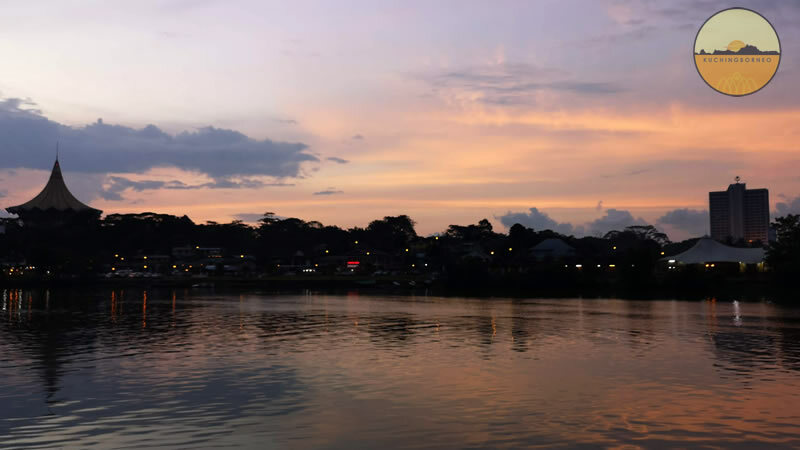 The Kuching Waterfront Jazz Festival is likely to happen at the last weekend of September next year. If you need to know more about the event, including tips to ensure you enjoy the event to the fullest. Click the link below. Other than that, have a happy Jazzy day, and do check out the brief Youtube video I made during the fest above.